Thank you for your order with Fat Ape Jungle. Your transaction has been completed and is currently being processed. A receipt for your purchase has been emailed to you. If you do not receive this email, please check your "junk" or "spam" folder settings in case your email filter has sent it there. You may log into your account at PayPal to view details of this transaction at any time; alternatively, please feel free to email us at fatape@fatapejungle.com with any queries you may have. Our aim at Fat Ape Jungle is to provide you with high quality music for your listening pleasure.  If there is a problem with your order you can contact us at fatape@fatapejungle.com. We will endeavour to respond to all enquiries within three working days. Alternatively, you can open a dispute with PayPal who will then notify us of the issue. To help us speed up our response, please include your order number when contacting us. We will accept returns if your records are returned to us in unplayed condition within 30 days of delivery of your order. Please note that all postage costs for returning your items must be covered by you, unless the items were sent to you in error. We recommend using a tracked delivery service for your own security.